The Chinese company Xiaomi has been much in buzz for its smartphones like Redmi Note 3, Redmi Note 4, Mi5, Mi Max. All the smartphones company has offered are too good and that too in a reasonable budget. Here’s a surprise for all of us because two of the company’s smartphones have been detected without any official declaration. A Chinese certification website, TENNA itemized Xiaomi smartphones with model number MAE136 and MBE6A5, which publicized the key specifications of the phones and the images of the mobiles as well. As per the various sources, one of them could be launched as MI 5c or Redmi 5 or Redmi 5C. Xiaomi MAE136 features a 5-inch HD display with a resolution of 720×1280 pixels. It will run on Android 6.0.1 Marshmallow operating system and will be powered by a 1.4GHz octa-core processor. It will also be packed with 3GB of RAM and 32GB of internal storage, which could be expanded upto 128 GB via microSD card. It supports 4000mAh battery. The smartphone has a measurement of 139.24 × 69.94 × 8.65 mm and weighs 150 grams. It is available in Gold, Rose gold, Matte black, and Dark Grey colour options. MAE136 will sport a primary camera of 13-megapixel with LED Flash, and a 5-megapixel front camera. Like all the new smartphones of Xiaomi this phone will too have a fingerprint sensor at the back. Dual SIM, 4G LTE, WiFi (802.11 b/g/n), Bluetooth 4.1, GPS, a microUSB port, Gravity sensor, Distance sensor, and Light sensor are the other features. Talking about Xiaomi MBE6A5, it sports a screen size of 5.5 inch with full HD display and a resolution of 1920×1080 pixels. Powered by 2.0GHz Deca-core processor, it will offer with 3GB of RAM and 64GB of internal storage. You can expand the memory upto 32GB via microSD card. Like the former smartphone, this mobile will also run on Android 6.0 Marshmallow operating system and is supported up by a 4000mAh battery. 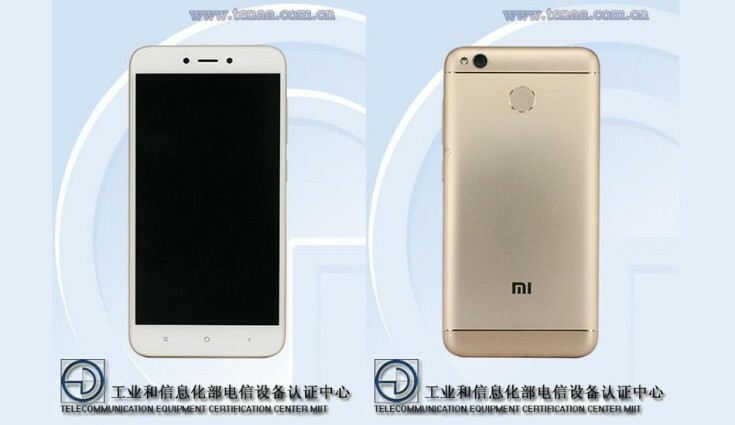 MBE6A5 smartphone will flaunt a rear camera of 13-megapixel with LED Flash, and a 5-megapixel front camera. It will have a fingerprint sensor at the back panel. Apart from this, MBE6A5 offers Dual SIM, 4G LTE, WiFi (802.11 b/g/n), Bluetooth 4.1, GPS, a microUSB port, Gravity sensor, Distance sensor, and Light sensor. The smartphone measures 151 x 76 x 8.35 mm and weighs 170 grams. It will be accessible in Gold and Silver grey colour options.